Do you love brain challenging puzzles? Do you love Sherlock Holmes? The Official Sherlock Live Experience is an 100 minute immersive escape game for a group of 4-6 people. Detectives will be required to dive into an all-new mystery brought to you by series creators Steven Moffat and Mark Gatiss, in collaboration with Time Run, renowned escape room pioneers. Entering within into the world of Sherlock with immersive sets and environments from the show, you will have to work together as a team to solve mysteries and puzzles before time runs out. Exploring your way through this escape room you will come across iconic sets from Sherlock, as you solve puzzles and clues with help from original cast members, such as Benedict Cumberbatch and Martin Freeman, through specially recorded video and audio sequences. 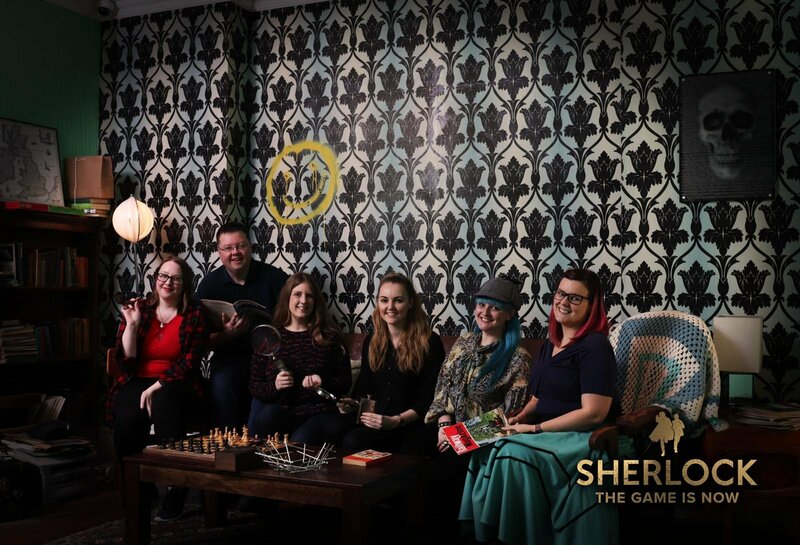 Thanks to The Game Is Now who let some of us community members of Love Pop Ups London come down to be detective to help Sherlock un-raffle the crimes which were happening in London. Read our blogs from the comments section below.